The first known use of the term “intersectionality” was in 1989 by Kimberle Crenshaw, a scholar and civil rights advocate. It was when Ms. Crenshaw was studying to be a lawyer that she saw how race and gender were treated as two “completely separate issues.” There was no rhyme or reason that these two issues needed to be isolated from one another. Ms. Crenshaw, an African American, experienced first-hand how women of color are twice as likely to be discriminated against. Intersectionality in feminism has become more of a focus point in discussions. It is an important concept; however, some people still find it confusing. It was only last year when Merriam-Webster dictionary added the term “intersectionality”, despite not being a new term or concept. The definition of intersectionality refers to as “the complex, cumulative manner in which the effects of different forms of discrimination combine, overlap, or intersect.” Essentially, what this means is that discrimination is not the same for everyone and that prejudice can occur in difference ways for different people. 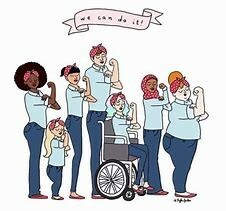 For instance, women who come from different race/ethnicity, sexual orientation, socio-economic class, and who have disabilities experience difference forms of discrimination/prejudices. As we continue to intermingle with women from different backgrounds and share are experiences, we can start to see and understand the “compounding forms of discrimination” women experience. By acknowledging the different forms of discrimination women encounter can ensure that women’s rights in the future will continue to grow and thrive.